All my vacations are planned around food foremost. 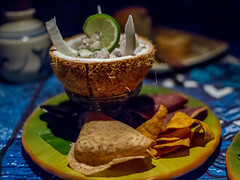 I love researching restaurants, local eats and street food. Every trip, I like to include at least one splurge dinner. 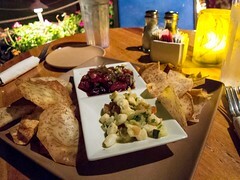 Lahaina Grill met all of my research criteria of being local, exclusive to Maui and had amazing reviews. Atmosphere: The first thing I noticed walking into the restaurant were all the beautiful paintings. Every wall featured stunning pieces with bright colours and created an elegant backdrop for dinner. White linen tablecloths dressed each table and the room was lit with warm pendant lights. The dining space felt like a private dining room, intimate, comfortable and refined. Amongst the diners, dress code varied across the spectrum from suit jackets to t-shirts. I only wish the tables were more spaced out. 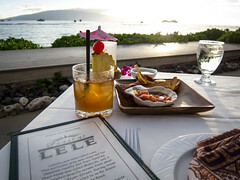 Service: Service at Lahaina Grill was superb, professional and efficient. 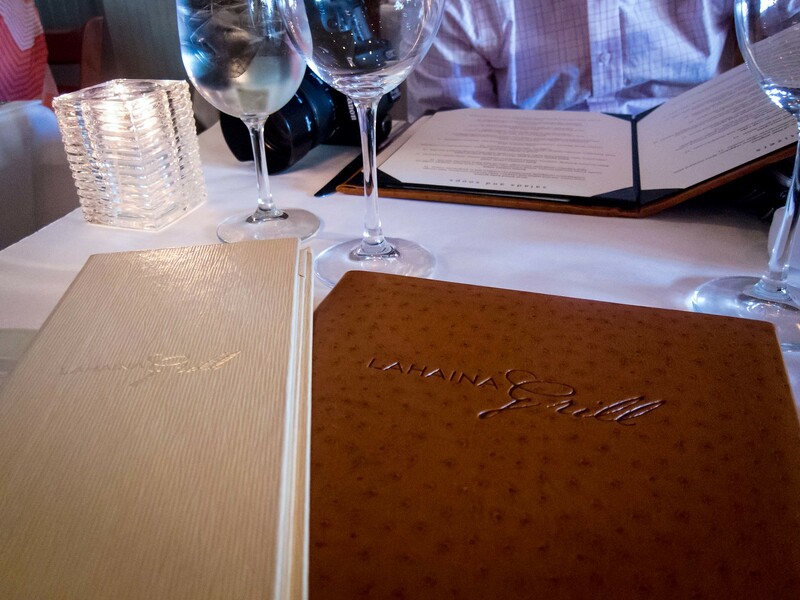 Bread crumbs were swept away before appetizers were served, servingware was refreshed with each course and our server checked in on us throughout the meal. My water glass was never empty and we felt well taken care of. Food: To start, the bread and butter was divine. 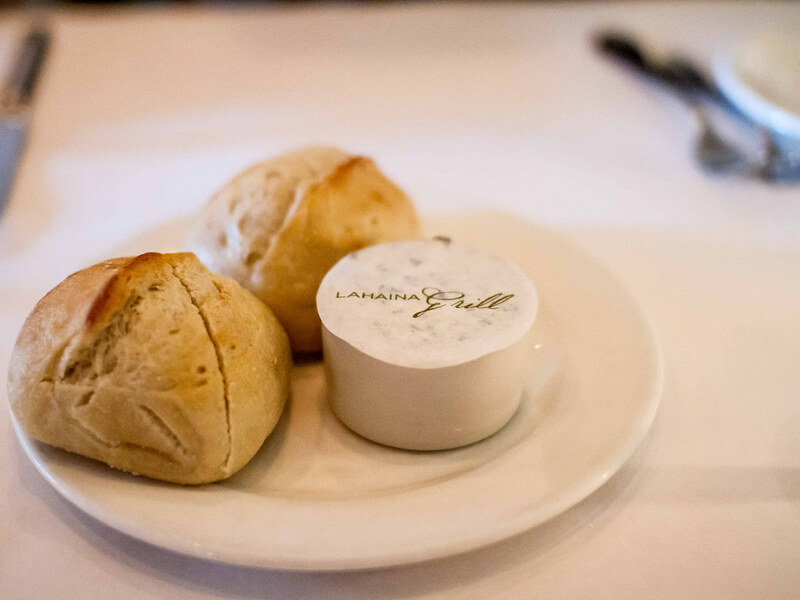 The dinner rolls were pre-cut, warm and were a perfect canvas for the soft garlic chive butter. For appetizers, we split an order of The Cake Walk, a trio of fried seafood cakes, and a Bowl of Maui Onion Soup. I loved the presentation for The Cake Walk and they all tasted amazing. 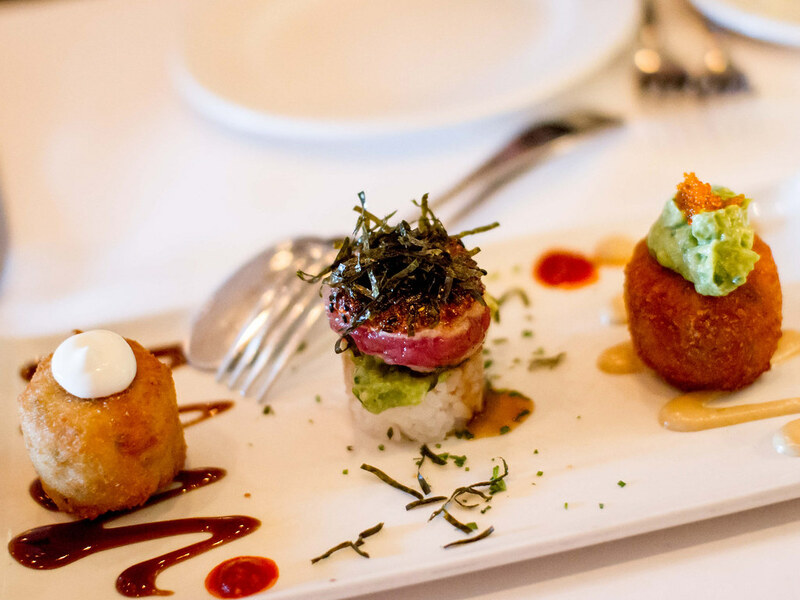 There was a shrimp cake with hoisin, a medallion of seared ahi tuna served on rice and a lobster, crab and scallop cake. I would be hard pressed to pick a favourite of the three. 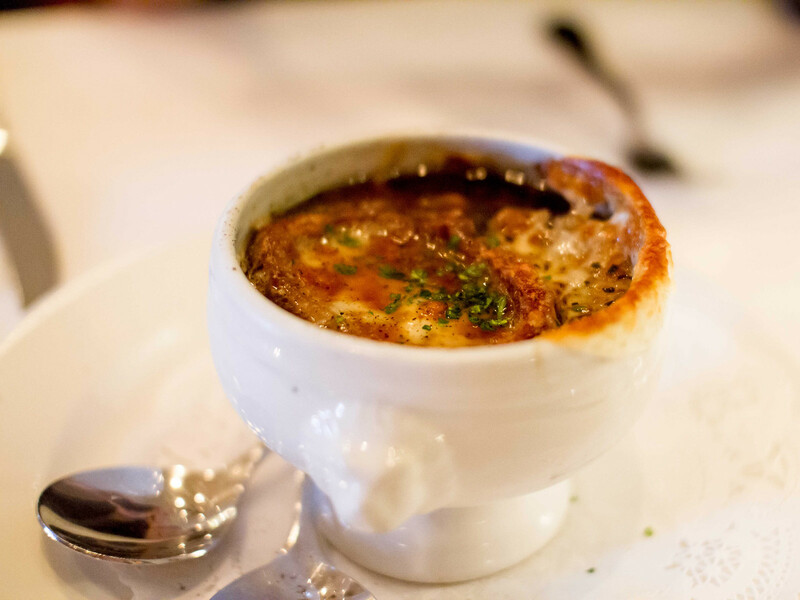 The bowl of Maui Onion soup was piping hot, gooey and had a beautiful toasted topping. Onions grown on the island were used and the flavour was so rich. 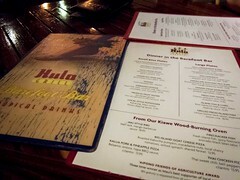 For our entrees, both The Fiance and I were swept away with the daily specials. 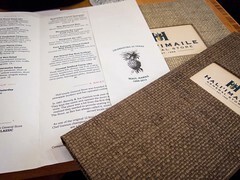 I had the seafood special of panko crusted fresh Opakapaka while The Fiance had the land special of bone in, centre cut ribeye steak. The filet was cooked perfectly, flakey with just a light crust. 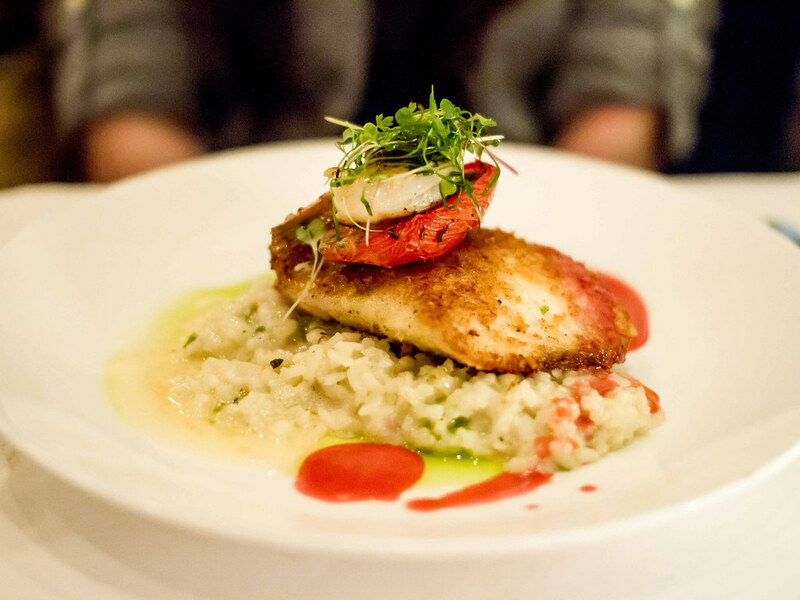 The risotto was creamy and buttery. I had a great time with my dish and the portion was filling. 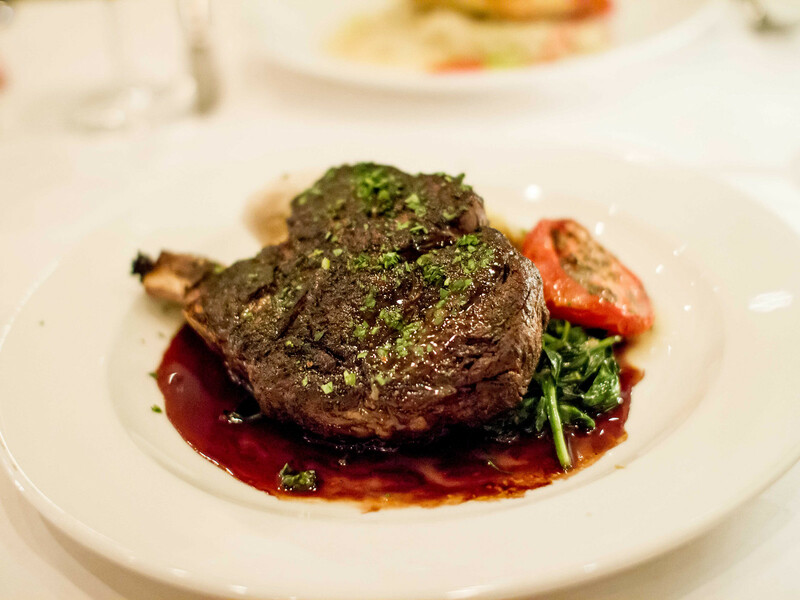 It was hard not to compare this ribeye with the one The Fiance ordered at Jacobs & Co. Although there was a significant price difference between the two steaks, Lahaina Grill’s held its own. The outside of the ribeye was a bit on the charred side but the inside was a perfect pink. 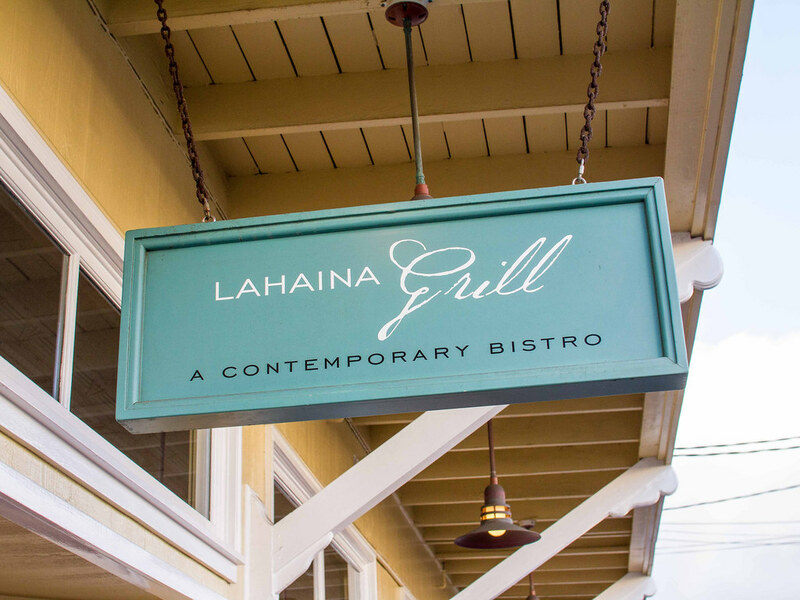 Overall Lahaina Grill would be a great choice for a nice sit down meal; be it a special occasion, date night or a reason to switch up flip flops for heels while on vacation (although it doesn’t seem to be a requirement). Great review Xaio! Almost makes me regret not fitting Maui in during this upcoming Hawaii trip!